This course has been ranked among the top ten most beautiful courses in the country by Runner’s World Magazine, with areas of the course that allow runners to peer over Dering Harbor, look out at the Orient Point Lighthouse and run through one of the most exclusive private communities in the country. 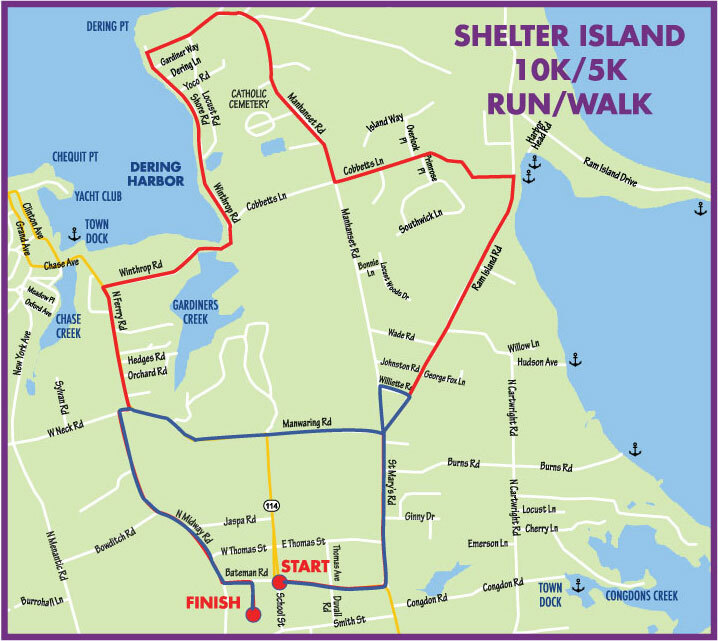 The non-profit Shelter Island Run, Inc. founded in 1980 is dedicated to create positive awareness through running and health at our renowned annual 10k road race. Our mission is to provide funds to our communities youth, adults and seniors through education and services. We wish to inspire and support others by assisting our local charities through philanthropy. The Shelter Island 10k has a tradition of inviting elite athletes from the United States and abroad. Athletes with a current 10k time under 30:30 (male) or 37:00 (female) may qualify for waived entry fees, lodging, and travel assistance. Beginning with the inaugural run in 1980, this decade nationwide was described as the “running era”. 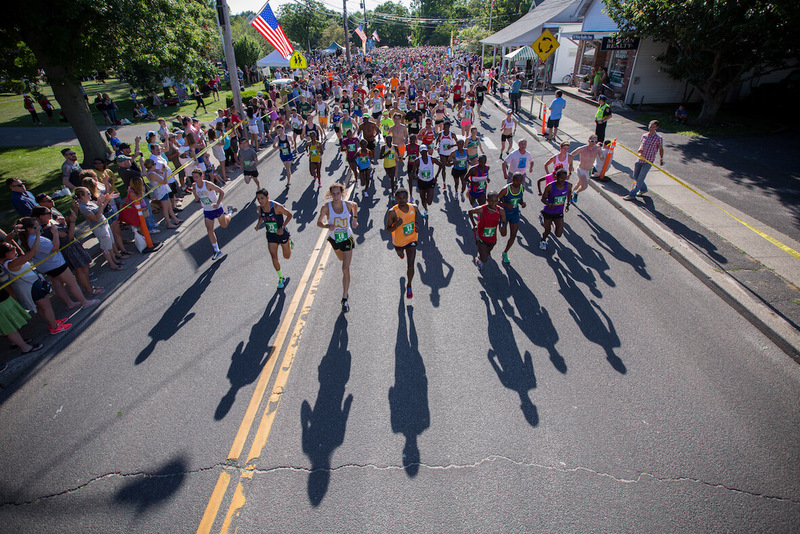 The Shelter Island 10K run founded by Cliff Clark, John Strode, and Jack Faith, thoughtfully combined the excitement of an elite field with the “everyday runner”. The beautiful course, enthusiastic, diverse participants and wonderful volunteers merged to produce an amazing event that not only highlighted our run but also assisted our charities, the Suffolk County Special Olympics and the SI 10K Community Run. Our inaugural winners were Justin Gubbins and Burke Koncelik. During the 1980’s, the Nike Shoe Company joined the South Ferry as a major sponsor (1984-1986). Ronzoni sponsored the pasta party and guests included Olympian Jeff Galloway who easily mingled with the crowd. Ambrose Salmini of Salmini Films, Inc filmed footage of race weekend in 1984. In 1987, Yobes Ondeiki set a course record as well as Long Island 10K record clocking in at 28:52. Not to be outdone, female winner Christine McMiken, a New Zealand Olympian, set a woman’s course record of 33:18. By the late 1980’s the SI 10K had raised over $100,000 for the Suffolk County Special Olympics and $50,000 for the SI 10K Community Fund. Not only had a premiere 10K been founded, but the 10K was also helping two great charities. During this decade, the 10K would highlight the presence of world-class runner and Olympian, Greta Waitz. Greta epitomized the woman’s running movement and was a great inspiration to young female runners. Shelter Island’s current Board Member, Janelle Kraus, always comments on Greta’s inspiration and how awesome it was to watch her as a young girl run the SI 10K. Outstanding competition and impressive athletes continued to come out for the 10K run. Supporting the Community Fund our own local students, school, Red Cross,Mashomack Preserve, Library and Police Department, our volunteers eagerly fulfilled this worthy and energetic event. These years we celebrated local champanions. In 2001 our community was honored to cheer and congratulate local Wake Forrest All American and S.I. graduate Janelle Kraus as she placed 2nd female with a time of 35:33. Following Janelle were her S.I. teammates placing 6th and 8th, sisters Alexis and Vanessa Hamblet. We also saw our course record broken by Simon Ndirangu - 28:37, 2012 and María Luisa Servín - 33:12, 1997. More local celebrations included the Little League becoming a beneficiary of the post race events and compliments of the Town Board and Legionnaires the post-race party moved to the legion hall right on the finish field. This decade highlights the presence of running greats sponsored by Dr. Frank J. Adipietro and Harry Hackett. We were thankful to bring to the SI 10K and 5K Community Walk the wisdom and excitement of mingling and running among former Olympians and National champions like Joan Benoit-Samuelson, Bill Rodgers, Frank Shortee, Kim Jones, Jon Sinclaire and Keith Brantly. This year we will add Olympian Meb Keflezighi to the roster. Wow- such talent and greatness! 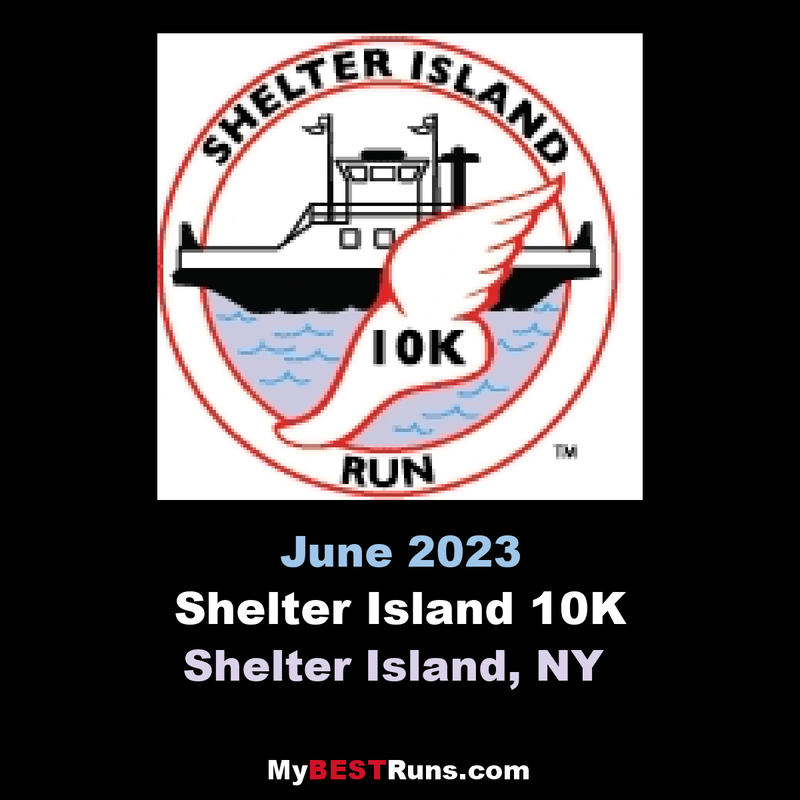 On Shelter Island we continue to produce a great race along with raising money for the Shelter Island 10K Community Fund and various charities. We also welcomed Ambrose Salmini back to the SI 10k filming footage of the run for YES HD Running- Thanks Ambrose! Stay tuned and thank you for all your support over the decades….